Pauline Hanson's One Nation Party support is worth four senators. The government has promised an inquiry into the impartiality of the ABC's reporting and will invest $12 million into community radio to secure One Nation's support of its media reforms package. One Nation's block of four senators would be an important step towards securing a passage for the bill, but could come unstuck from other crossbenchers with Nick Xenophon saying he won't support the One Nation deal. 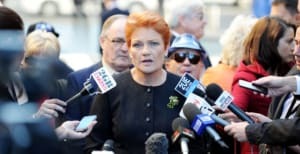 One Nation's conditional support was won by agreeing to measures that play to Hanson's perception the ABC's political reporting is left-leaning and needs addressing. This includes an impartiality review and an inquiry into how the ABC competes with commercial media. Another measure is making public the salaries of top ABC and SBS on air talent. The ABC Charter would be amended so that reporting must meet the criteria of 'fair' and 'balanced' in addition to the current requirement of impartiality. In an interview about media reforms on the Bolt Report, Hanson said: “We've got newspapers going under, people losing their jobs and we've got Google and other digital media reform areas so it was a step to take and bring in more balance. The government requires the support of 10 crossbenchers for the bill to pass senate. 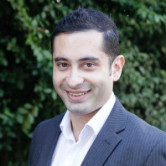 Although Xenophon and The Greens support the majority of the reforms package, they are concerned that abolishing the two-out-of-three cross-media ownership rule could allow further concentration and dilute media diversity. Xenophon says he is ready to cut a deal and wants to introduce amendments that he believes will improve the quality of journalism and breadth news coverage.